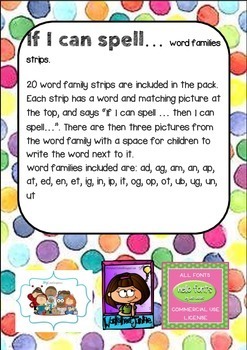 20 word family strips are included in the pack. 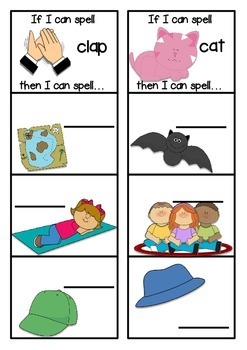 Each strip has a word and matching picture at the top, and says “If I can spell … then I can spell…”. 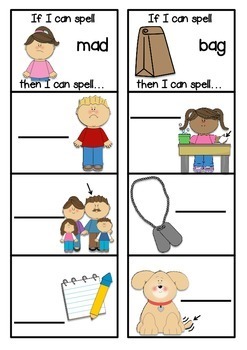 There are then three pictures from the word family with a space for children to write the word next to it. The set can be cut out and laminated in strips and written on with whiteboard markers so that the set can be reused.